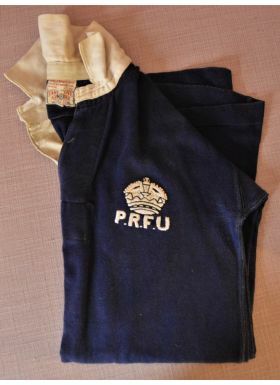 British Police RFC match worn Jersey, 1930s: Again from the Eddie Watkins Collection, numbered 10, a deep navy Umbro jersey supplied by Fussell’s Sports Depot, Newport. 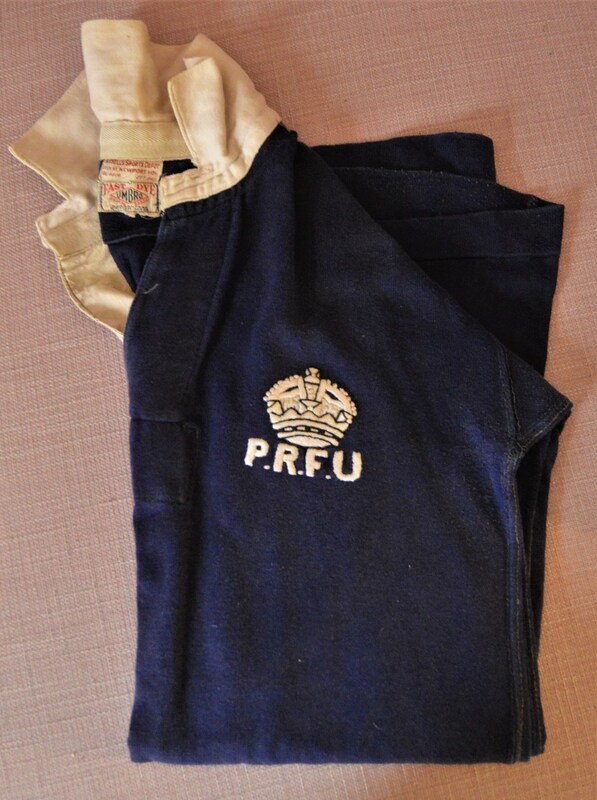 Eddie also played for local and national Police XVs including games against other countries’ police forces etc. In really good condition, especially at over 80 years old, with colour very fast and badge in off-white bold and attractive. Not an easy-to-find example, but a lovely one. Excellent.